They are getting machined this week, and are going to anodizing next week if all goes well. Hope that we these back in stock at RSD by the end of the month. I dont think anyone is stocking these other then RSD at this time unless they have some wholesale customers that are keeping these on the shelf. We sorry about the delay. We had some issues at the machine shop that put everything to a haul for much longer then we anticipated. 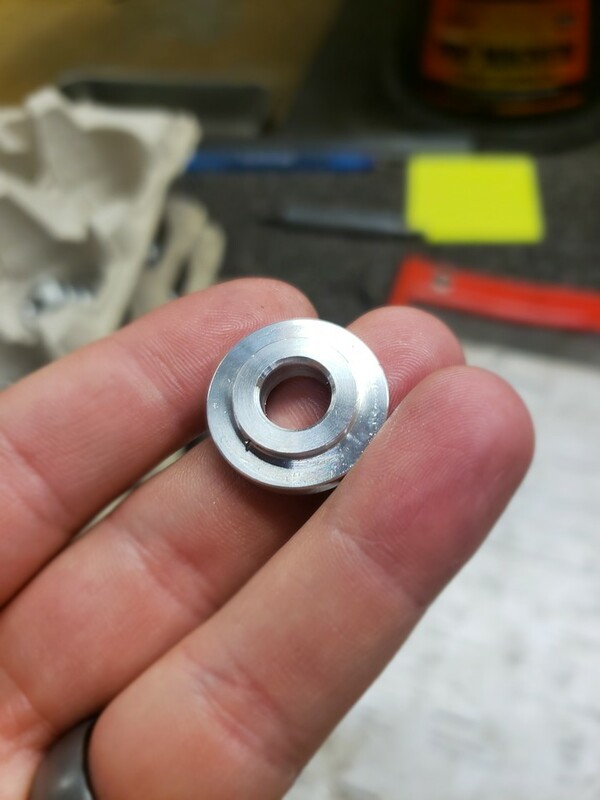 The Machine Shop is pumping out the bushing inserts late last week and early this week! Off to Anodizing next! They shifters will be shipping shortly from RSD, and the bushings are going to be getting packaged up this week and should be ready by early next week at the latest. Any update on when these will be available? We would like to apologize about the delay. Who is ready for more short shifters and bushings?! All in stock and shipping! We apologize for the long wait, and appreciate everyone's patience. But we have plenty back on hand and should not have this long of a delay moving forward.